Today’s Turkey is incredibly rich in grape varieties: There are actually more than 1400. 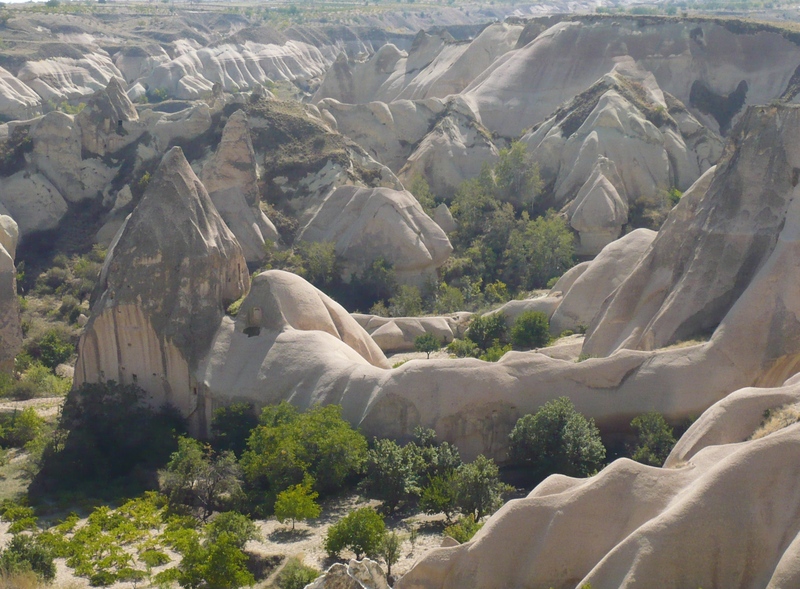 People were already settled in the fertile regions of Cappadocia more than 10,000 years ago. The bizarre landscape was shaped by two volcanos. Large parts of this region have been listed World Cultural Heritage by UNESCO for their breathtaking scenery and their many cultural landmarks. The soil consists mainly of volcanic tuff. It is rich in minerals and has a well-balanced water base. The sandy tuff is beneficial in more than one way. Grapes that grow on this ground are largely phylloxera resistant. In all European and non-European grape-growing regions local vine-shoots have to be grafted onto vine-roots from America. This is not the case with our vines. The small town of Güzelyurt is situated about 1500m high. It is one of the highest grape-growing regions in the world with a very dry continental climate and extreme temperature differences between day and night. The exclusive use of local vines as well as the traditional cultivation of private fruit gardens together with the natural processing of grapes in küps (large clay vats) achieve wines of unique character.